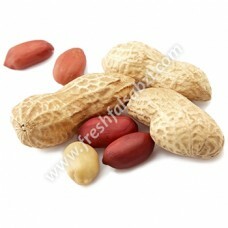 Groundnut also known as peanut , is a crop of global importance. It is widely grown in the tropics and subtropics, being important to both smallholder and large commercial producers. It is classified as both a grain legume , and, because of its high oil content, an oil crop. It is Bigger in size than the regular one.